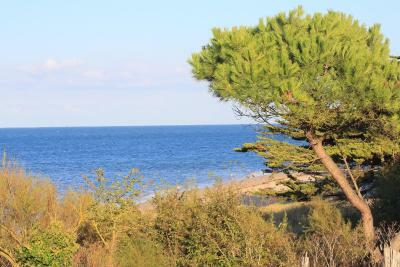 Lock in a great price for Le Phare – rated 9 by recent guests! Lovely place. 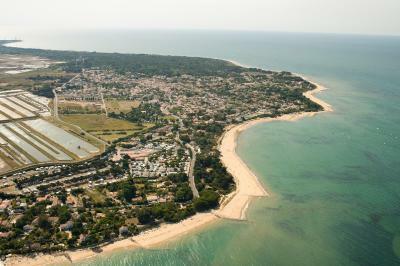 A camp for families and others who want to bike and swim and walk on the beach. We were 2 women in our seventies and were surprised to find ourselves in a family camp type setup. Cabin was clean and comfortable, grounds immaculate and beautiful. Friendly staffs, plenty of entertainment activities for kids. All the staff we encountered were extremely helpful and facilitating. The pool & children's playground were great. 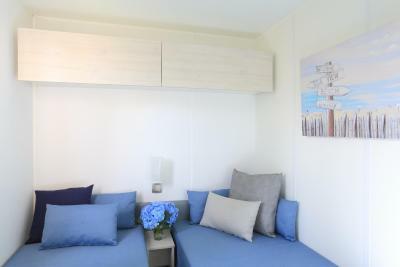 The cabin was very well-equipped,clean and modern, and the grounds were beautiful and well maintained. We loved the outdoor deck where we could relax and eat as a family. The planting and landscaping around it was really beautiful and gave us plenty of privacy. Our 4 year old loved that there was effectively a little sandpit right in front of our cabin where she could build sandcastles to her heart's content. There were fresh croissants available on site every morning. Bike hire was on site too and the bikes were good quality and reasonably priced. It was all just so easy! The hut was new and very comfortable, the bikes are perfect to discover the island. 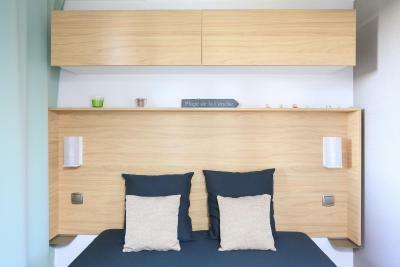 Staff is very friendly and the location, close to the Marais is beautiful. We had a wonderful holiday. The sight was stunning with wonderful beaches within walking distance. The accommodation was clean but basic. Staff at reception and the restaurant were very helpful and friendly. I would agree with the comment that a shop on site would be handy, but, to be honest, not necessary as the supermarket was less than 5 minutes on a bike. Would recommend the site to friends and family, and would definitely consider a return visit. The premium cabin was very well designed, very modern and super clean. Double glazing and air-conditioning were a nice surprise, especially with it still being quite warm. Super comfy beds. 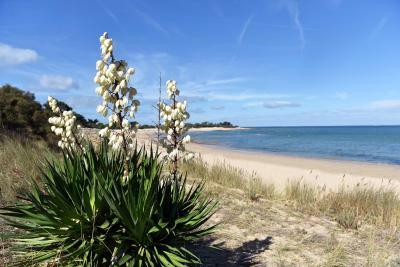 An easy stroll to the nearest beach and a ten minute bike ride to a beautiful beach. The staff were very friendly and helpful. We will definitely book again. 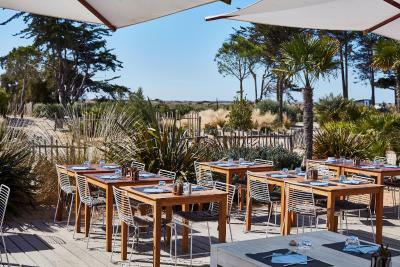 One of our top picks in Les Portes.Located in Les Portes-en-Ré, Le Phare features 2 heated pools one of which is covered. The camping is 100 feet from the beach. Bike excursions, visits of local producers, aquagym, and fitness lessons in the fitness room can be enjoyed on site all year long. 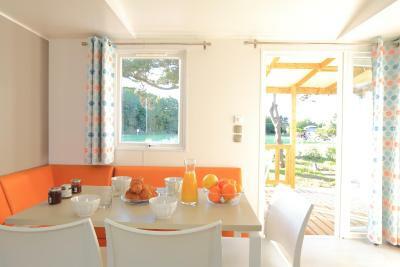 The accommodations includes a terrace, a seating and a dining area. 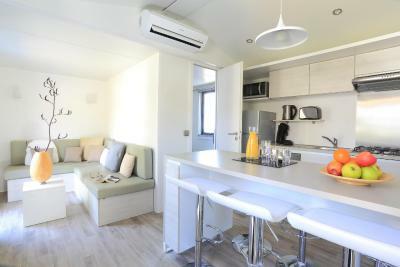 There is also a kitchen, equipped with a microwave and refrigerator. There is a private bathroom with a shower in each unit. 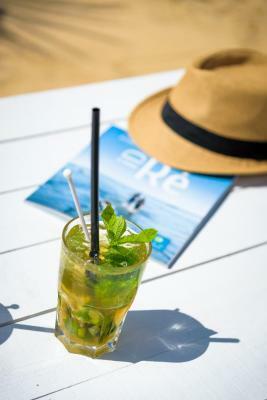 At Le Phare, guests can enjoy a meal at the on-site restaurant, followed by a drink at the bar. A kids and teens club can be enjoyed for free in July and August. 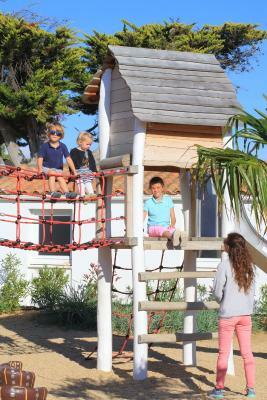 At the kids' club, children can enjoy treasure hunts, discovery games, sport activities and seaside discoveries. You can play table tennis and mini-golf at the property, and the area is popular for golfing. 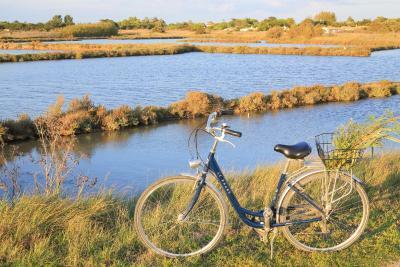 Guests can also rent bikes on site and cycling paths start at the entrance of the campground. La Rochelle is 24 mi away. 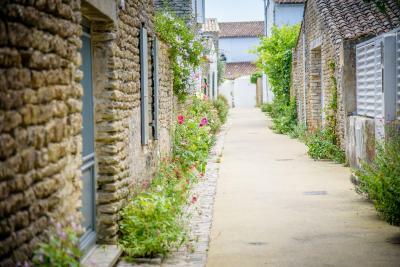 This property also has one of the top-rated locations in Les Portes! Guests are happier about it compared to other properties in the area. This property is also rated for the best value in Les Portes! Guests are getting more for their money when compared to other properties in this city. 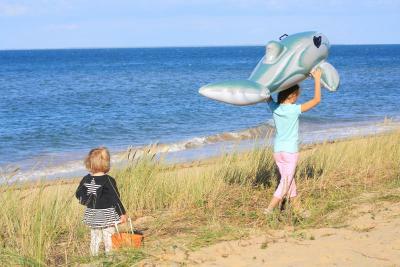 When would you like to stay at Le Phare? 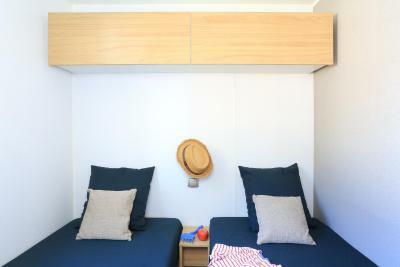 This 2-bedroom hut has a seating area, air conditioning and an equipped kitchen with a dishwasher and Senseo coffee machine, as well as free WiFi and a TV. There is a wooden furnished terrace and a hairdryer in the bathroom. It is set in a pedestrian area. It is located in a characteristic landscaped private village on the campground. This hut has and an equipped kitchen with a dishwasher, and a microwave and Senseo coffee machine, as well as free WiFi access, and a TV as well as a hairdryer in the bathroom.. There is a wooden furnished terrace. It is located in a pedestrian area. It is located in a characteristic landscaped private village on the campground. 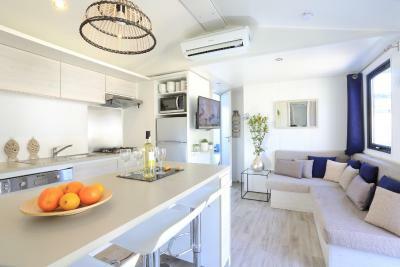 This 3-bedroom mobile home has an equipped kitchen with a microwave, kitchenware and Senseo coffee machine, a seating area and a furnished terrace. 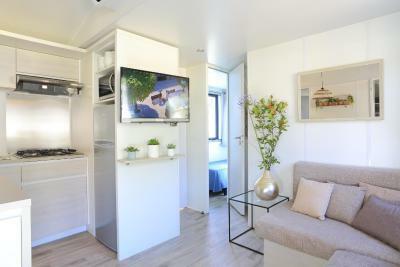 This 2-bedroom mobile home has an equipped kitchen with a Senseo coffee machine, a dining area, a seating area and a furnished terrace. Cabin with 2 spacious bedrooms and 2 private bathrooms, a dishwasher, free WiFi, air conditioning and a TV. 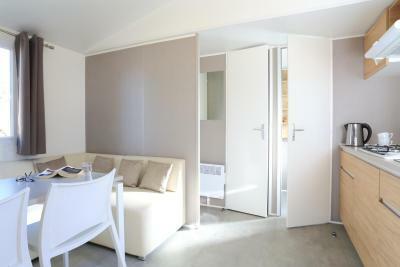 There is also a Senseo coffee machine and a furnished terrace. 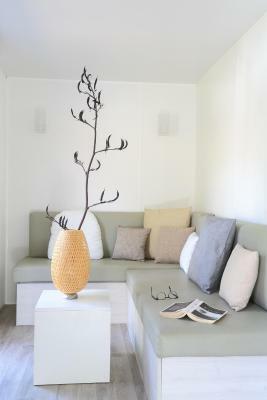 House Rules Le Phare takes special requests – add in the next step! 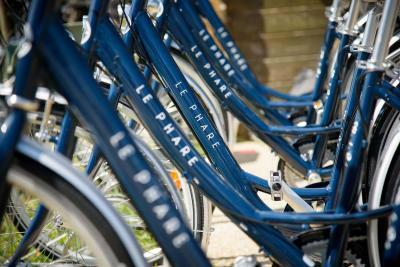 Le Phare accepts these cards and reserves the right to temporarily hold an amount prior to arrival. Please inform Le Phare of your expected arrival time in advance. You can use the Special Requests box when booking, or contact the property directly using the contact details in your confirmation. Playground for smaller children would be nice. Only for bigger ones now. Restaurant is ok but tastes are quite bland. Especially desserts and entrees could be reworked. Unclear if you have to clean own cabine. A 75 euro fee is mentioned in their flyer which is hefty for one cleaning moment. 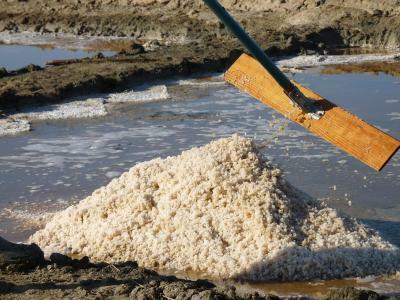 In each case I prefer to have professional cleaning because if people clean cabines themselves they will be much less hygienic and the next people will see a clean surface but for all you know they cleaned the countertop and toilet with same cloth. Cabines are very nice, but a few cm extra here and there would have been better. 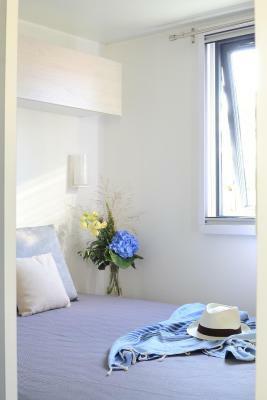 Especially the double bedroom is very small. Cabines are planted quite close to each other so there is not much privacy, however in a year or two when plants have grown more this will be resolved. Would have like an oven and more cupboard space. One particularly annoying thing about the accommodation was a tree right in the middle of our parking space which made parking with a top box and bike racks very difficult. The one main thing we would have liked is a bar area as the restaurant was very set up for meals, with tables being laid out ready for the next customers. Staff were happy to let us sit and have a drink and play cards, but it would be nice to have an area that wasn't part of the restaurant. The outside space was beautifully laid out, but the evenings were getting a bit chilly so there was nowhere cozy to sit. Dogs were allowed on the site. They weren't barking or running around or making a nuisance of themselves but I would prefer them not to be there. Cabins were a bit on the small side, but did have plenty of storage and fine if weather good as mostly outside. The location was fantastic, 2 mins walk onto a beautiful sandy beach. If anything should be criticised it would be that the offering of an activity program for teens should be more active. Things like surfing, climbing etc should be offered (even if they my cost) and the leaders of this teen activities should be expected to be fluent in English and make all teens to participate. Also concerning the activities, they should make a stage 2 children program as well, for those children over 10 years of age but not really teens. Usually a child that is 9 or 10 doesn't have the same interests as the ones that are 5 or 6. The bike assortment of the camping should be upgraded, so it can offer better bikes. We are definitely returning to this location and place. We had our dog with us and the service was excellent. The camping has everything you need for a successful stay and there is something for everyone to do. Beautifully kept site. We stayed in a 2 bed Cabin, spotless on arrival. Staff extremely welcoming. Would definitely book again. You are only booking the caravan. Beware it's not a hotel booking. We were only staying two nights so did not realise we had to pay 13 Euros for each set of sheets, 6 Euro for each set of towels. You also need to clean the caravan on departure and it is inspected. You can pay 75 Euros to have it clean for you but not worth it. Does not take too long to do. Expensive for a two night stay. An great camp/caravan site, with great facilities including a swimming pool, play area and great restaurant with excellent service and food. 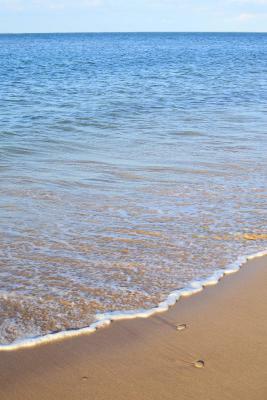 Two beaches within easy walking distance. A supermarket and Go Bike cycle hire within half a kilometre away. Bikes available to hire on site but you need to book. Great cycle path, easily accessible onto a nature reserve. You can travel everywhere by bike. 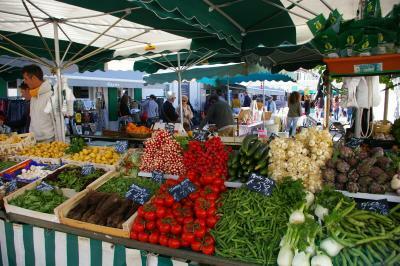 Closest place for market and restaurants is Ars en re. The accommodation for a family of 5 was slightly snug. 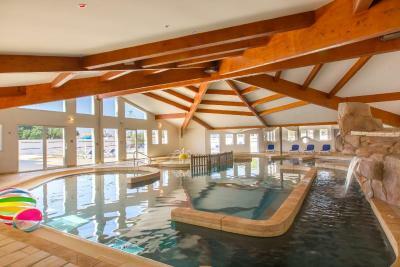 Great location, stylishly laid out well served with facilities. Plenty of helpful, bilingual staff. Proximity to multiple beaches and bike rides plus sites to visit were excellent. Coffee at breakfast in cafe was filter as opposed to from a proper machine which was a shame. Fantastic location, staff were hotel quality - absolutely excellent.